A new officially licensed Star Wars: The Force Awakens poster from Bottleneck Gallery will debut tomorrow. The exclusive poster, by artist Gabz, aka Grzegorz Domaradzki, feature the leads of the film on both the Resistance and First Order sides. For the Resistance, we have Finn and Rey, and for the First Order, Kylo Ren and General Hux. Read on for more details! Bottleneck Gallery is selling a beautiful, officially licensed poster for Star Wars: The Force Awakens by artist Gabz, aka Grzegorz Domaradzki. 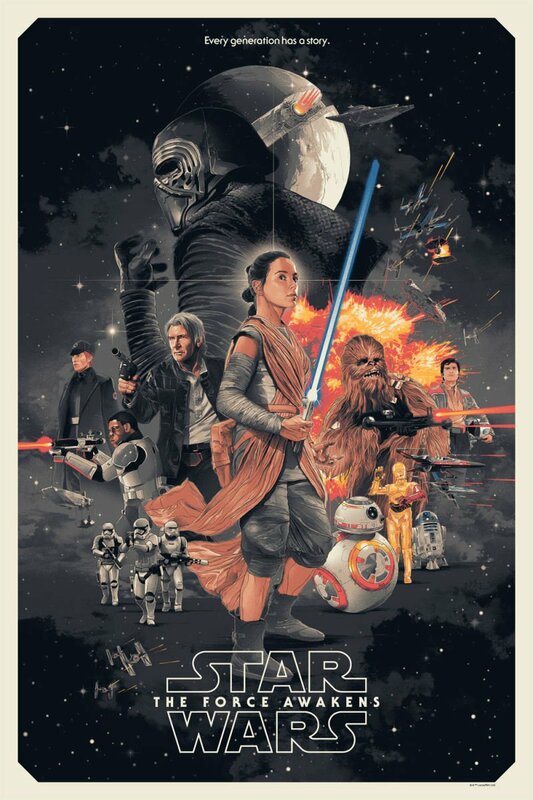 This new poster will be available in two editions and is a perfect compliment to his previous Star Wars trilogy poster release. Gabz specializes in movie posters and other custom-made graphic art. His gallery is loaded with beautifully crafted posters for films like Iron Man, Batman, Terminator and the recent Star Wars: The Force Awakens blockbuster smash hit. Follow Rey’s journey across the galaxy and her concluding events in these spectacular editions. Here is some information regarding the prints and their availability…. Star Wars “The Force Awakens” officially licensed screen print made for Bottleneck Art Gallery in partnership with Acme Archives Limited and Dark Ink Art under license from Lucas Ltd. 9 colours Regular (Timed Edition) will be on sale from Thursday, April 6th 12pm EST till Sunday April 9th 11:59pm EST. 9 colours Variant has edition of 250 and will be on sale Thursday, April 6th 12pm EST. Both made digitally in Adobe Photoshop in 24 x 36″ size. The regular is a timed edition, meaning they will print as many as possible between noon EST April 6 through 11:59 pm EST April 9. It’s 24 x 36 inches. 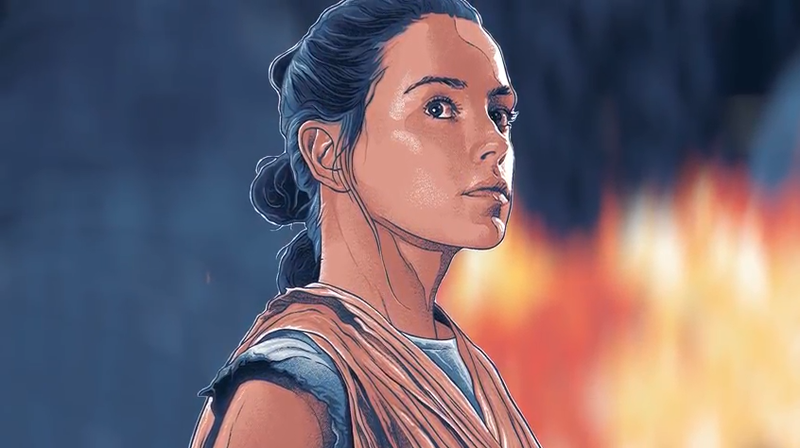 Bottleneck Gallery has also created a very cool video for Gabz Star Wars “The Force Awakens” officially licensed print. You’ve got to check this video clip out! It has a beautiful theatrical feel to it.